Northeast Frontier Railway, Maligaon, Guwahati. 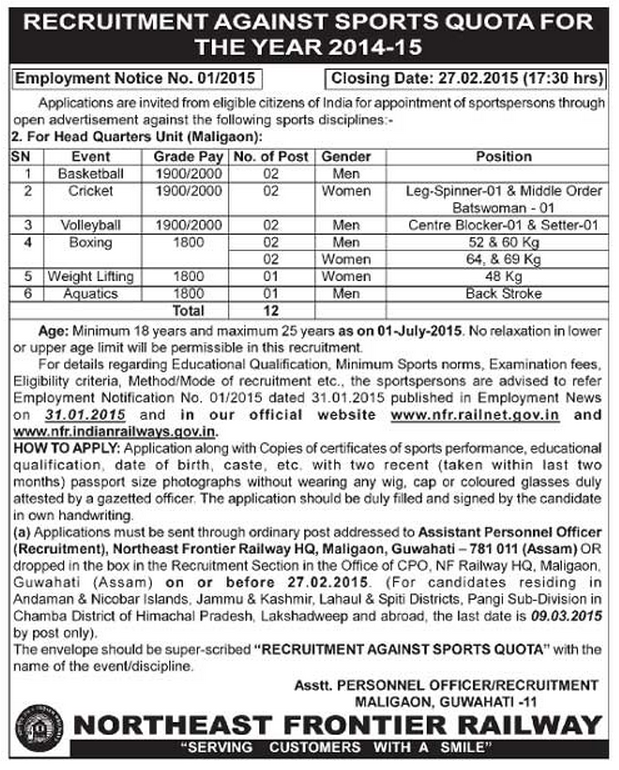 Applications are invited from eligible citizens of India for appointment of sports persons through open advertisement against following Sports Disciplines. Age: 18 to 25 years as on 1st July 2015.